The Sandman will bring you some dreams (bung, bung, bung, bung)! 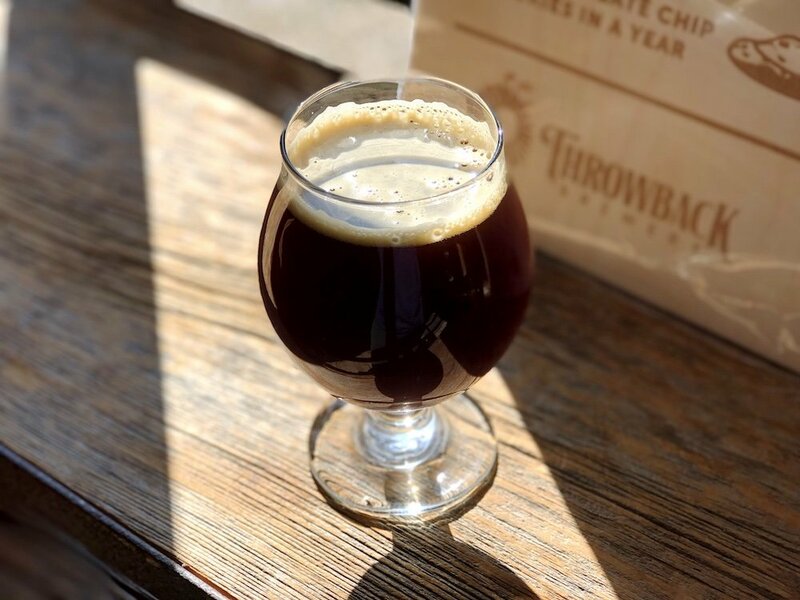 The Sandmann is a smooth drinking, dark mahogany-colored dopplebock featuring a sweet raisin & brown sugar aroma with flavors of fig, raisin, chocolate, and brown sugar. It finishes with light black pepper notes and a touch of alcohol warmth. The Sandman is rumored to bring on peaceful sleep & dreams… but that could have something to do with its 8.6% ABV! As with traditional doppelbocks, our full-bodied Sandman is rich in melanoidins reminiscent of brown bread. And, although The Sandman is a malt-forward beer, it’s not really very sweet. In fact, the Munich, chocolate, and Perla Negra malts bring out a lovely dark caramel, dark chocolate, and dark fruit flavor profile. The Sandman goes on tap here at Throwback Brewery on Wednesday, March 27th, 2019 and is available until we run out!